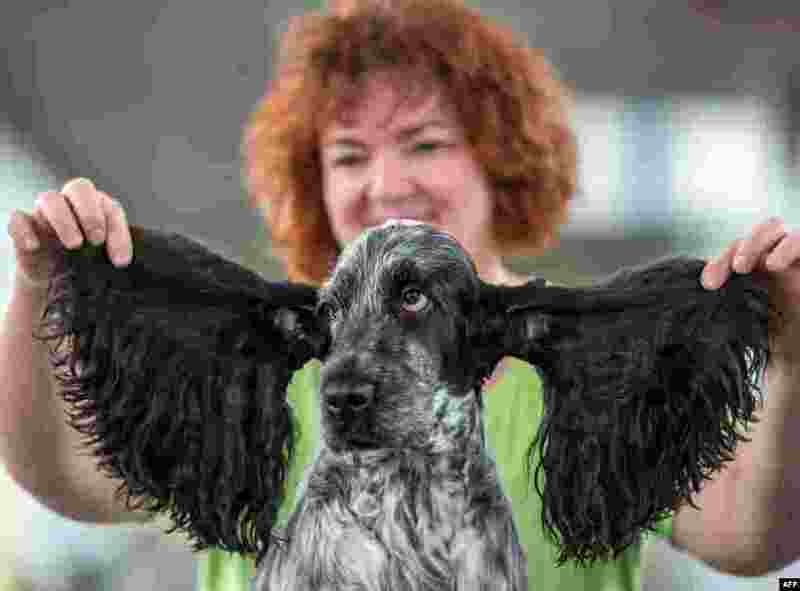 ١ Dog hairdresser Anke Schäfer looks at the haircut of her English Cocker Spaniel at the fair in Erfurt, eastern Germany, ahead of the German International & National Grooming Competition. 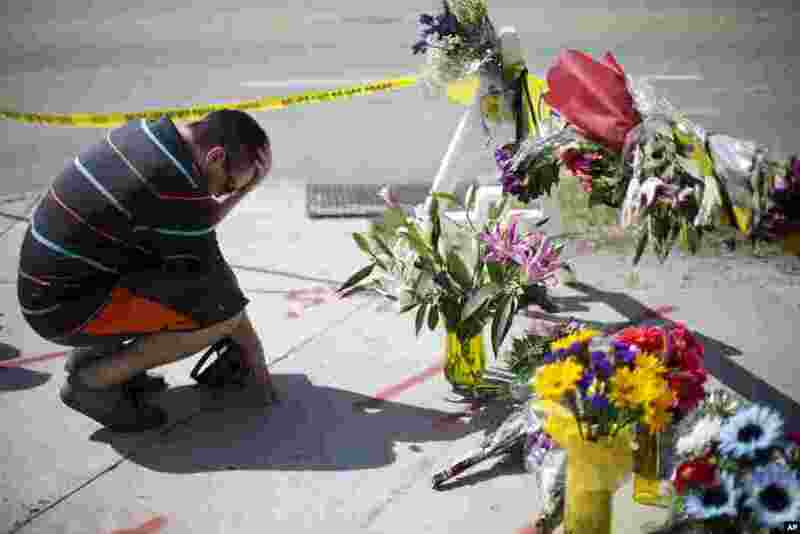 ٢ Noah Nicolaisen, of Charleston, South Carolina, kneels at a makeshift memorial, down the street from where a man opened fire during a prayer meeting inside the Emanuel AME Church, killing several people in what authorities are calling a hate crime. 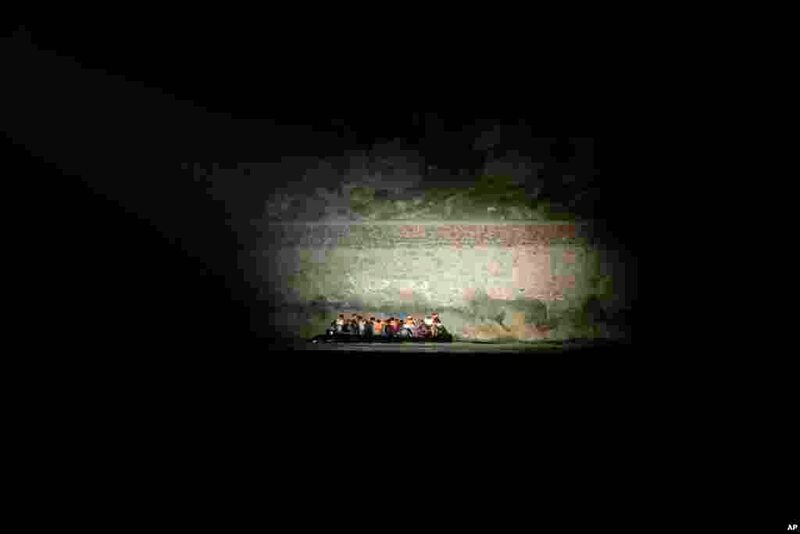 ٣ A Greek coast guard vessel uses a light to spot migrants arriving on an overcrowded raft from the Turkish coast during a patrol operation near the port of Mytilene on the Greek island of Lesvos. ٤ Members of the Edmonton Police Service follow the hearse carrying the coffin of slain Edmonton Police officer, Constable Daniel Woodall, during the Regimental Funeral Procession in Edmonton, Canada, June 17, 2015.